MCLEAN, VA - April 21, 2011 -- Smartphone apps are increasing in popularity and are being widely used in healthcare as health apps. An online survey was conducted by Consumer Health Information Corporation (CHIC) to gauge consumer interest in health apps and evaluate the likelihood of patient adherence to them. The survery was distributed to smartphone consumers at affiliated universities, businesses, and posted on Facebook in April 2011. Survey results were collected from 395 respondants. The CHIC survey stems from a March 2011 consumer survey showing that 26% of apps are downloaded and used only once. Of the people who confirm using their apps, 74% drop out by the 10th use. The same survey, however, also shows that 26% of smartphone applications retain consumer loyalty and are used repeatedly. The CHIC survey shows that the availability of a better app (34.4%) and lack of user friendliness (32.6%) are the top reasons for discontinuation of smartphone apps. In general, ease of navigation (90.9%) was the top feature that made apps favorable. In terms of interest in health apps, the majority of surveyed consumers stated that they would be most interested in using a health app to gain information (91.1%). Behavioral scientists hypothesize that in order for health apps to be successful and change patient behavior, they should target motivational needs to promote behavioral change. The majority of surveyed consumers agreed with this and stated that they would be more likely to use an interactive app that can analyze logged information and provide feedback (79.9%). Based on this response, personal feedback is key because it will provide the motivation for behavioral change. Health apps should also comply with proven public health guidelines. A study that looked at smoking cessation apps found that the majority were not evidence-based nor rooted in proven methods of usefulness for smokers. Of the 47 smoking apps identified and analyzed in the study, none met the guideline recommendations. For health apps to be successful patient adherence tools, they should follow established evidence-based guidelines. Consumers were most likely to use a health app to find information about drugs (42.2%) or disease states (26.5%). 39.8% were willing to use such a health app several times a day. National health organizations were the most trusted source of health information (51.8%). The majority of consumers were either somewhat influenced by (55.8%) or very much influenced (32.2%) by consumer ratings of apps. 33.4% of consumers preferred health apps to be free but the majority were willing to pay, with 30.9% willing to pay $1.00-$5.99. In terms of preference for health-related task reminders, consumers did not want phone calls, drug vials, or email reminders. The majority of consumers preferred reminders through their mobile phones such as text messages (41.1%), smartphone apps (20.3%), or phone alarm (19.5%). Ultimately, it is the patient who decides whether or not they will continue to use an app or take a drug. 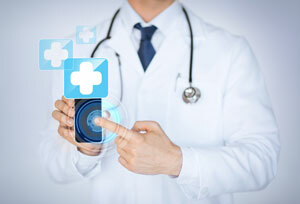 Patients will not use a smartphone app simply because it is innovative or handy. Instead, they want something that is convenient and will help them simplify their health-related tasks. Furthermore, it is not enough to have a health app that merely helps to manage or keep track of one's health, patients also desire feedback. Such an app should also be accurate and follow clinical and behavior modification guidelines. The high dropout rate with smartphone apps is concerning to the healthcare industry because smartphone apps are beginning to play an important role in healthcare. The most recent pharmaceutical industry report by Ernst & Young from February 2011 reveals that in 2010 new initiatives in health technology by pharmaceutical companies increased by 78%. A staggering 41% of those new initiatives were smartphone apps. For the time and resources invested, pharma companies need to ensure that their investments in smartphone apps do not fall into the 26% that are used only once but rather into the 26% that are used repeatedly. Smartphone health apps will be effective as patient adherence tools only if they are able to retain consumer loyalty. Based on the results of this survey, our company concludes that while smartphone apps represent an innovative method of patient outreach and education, more research needs to be conducted on their efficacy as patient adherence tools. With over 25 years of experience in patient education, Consumer Health Information Corporation is the industry leader in proven patient adherence strategies, health literacy, and patient education program development for prescription drugs, over-the-counter (OTC) products and medical devices. Our programs for pharma companies have increased product ROI by more than 50%. Please contact us for more information about how we can help your technology produce RESULTS. Consumer Health Information Corporation was founded by Dorothy L. Smith, Pharm.D, an internationally recognized clinical pharmacist with expertise in patient adherence and patient education. 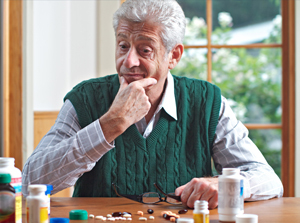 The mission of Consumer Health Information Corporation is to help patients learn how to manage their diseases and prescribed treatments safely and wisely. The company has developed more than 4000 evidence-based patient education programs for medications, medical devices, disease management and Phase III clinical trials worldwide. A respected clinical and educational source, Consumer Health Information Corporation has won major national and international awards for excellence in patient and consumer education programs that have significantly increased patient adherence. Dr. Smith is the author of more than 130 professional articles, 23 books and has delivered more than 150 professional and scholarly addresses. Copyright 2012 Consumer Health Information Corporation. All rights reserved. Contact Us for a link to the published article. Patient NonAdherence In Clinical Trials: Could There Be A Link To Postmarketing Patient Safety?